“Mario Kart” has been a big deal for over 25 years. And now –finally – it’s coming to smartphones. What you see above is the majority of what we know about the upcoming game. We asked Nintendo a bunch of questions, and were told that there’s nothing more to say beyond what was recently announced. Here’s everything we do – and plenty of what we don’t – know about “Mario Kart Tour,” Nintendo’s first ever “Mario Kart” game for smartphones. 1. “Mario Kart Tour” is a spin-off. NintendoPictured: ‘Mario Kart 8 Deluxe’ on Nintendo Switch. 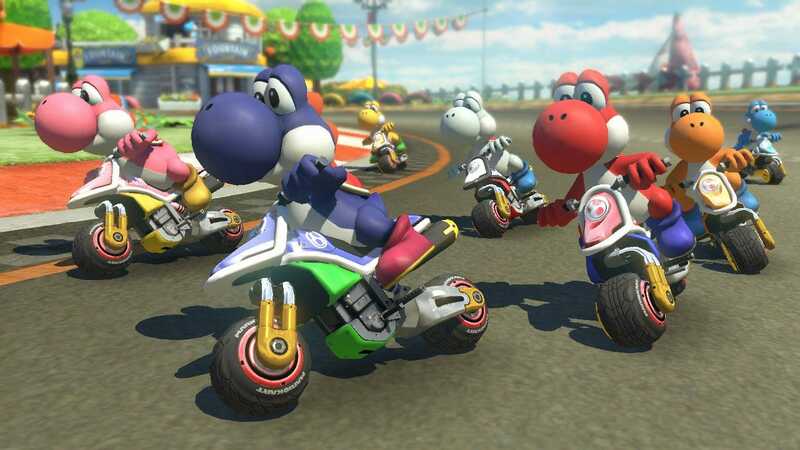 Nintendo hasn’t made a bad “Mario Kart” game. At worst, some entries in the series have felt obligatory rather than essential. That hasn’t been the case in recent years, and there’s no reason to suspect that “Mario Kart Tour” will be anything less than good. That the game isn’t a numbered entry isn’t the only indication that it’s a spin-off – the fact that it’s for a smartphone, not one of Nintendo’s own consoles, is another big indicator. 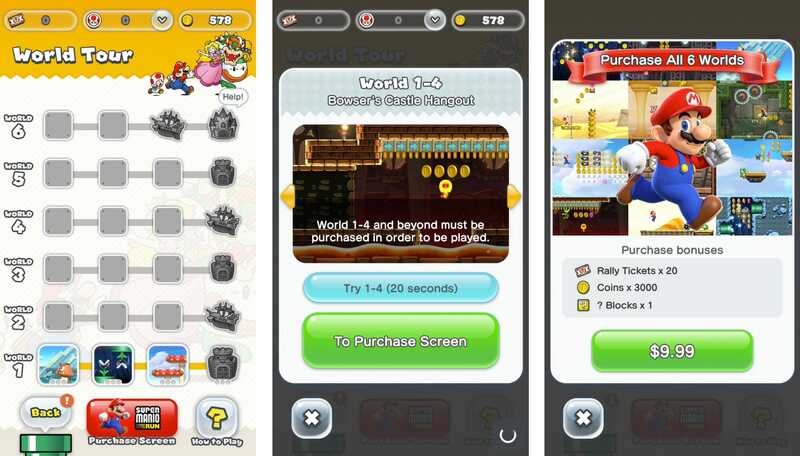 Nintendo’s approach to smartphone gaming has been focused on crafting its franchises specifically for the platform, rather than trying to force its console games onto a mobile device. This results in spin-off games with controls and gameplay mechanics that only make sense on smartphones and other touch-based devices. 2. Like “Super Mario Run,” it’s likely that “Mario Kart Tour” will be pared down. Smartphones are powerful enough to run many console games. In many cases, though, games are built for use with gamepads – smartphones have the horsepower, but not the hardware, for games that require intricate controls. 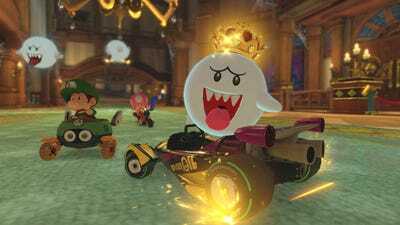 Thus, in the case of “Mario Kart Tour,” it’s likely that the game’s controls will be pared down significantly from what you do in “Mario Kart 8 Deluxe” on Nintendo Switch. The core loop of “Mario Kart” is racing (accelerating, braking, drifting, and jumping) and fighting (using power-ups gathered during the race). It’s possible that Nintendo will require players to hold down a virtual button on-screen for gas/brake/etc., but it’s more likely that the game handles acceleration while players focus on steering, gathering power-ups, and taking down foes. There’s a good precedent to look at here: Nintendo’s “Super Mario Run.” The game is still essentially a 2D Mario experience. You’re running, jumping, punching question mark blocks and stomping on Goombas. But instead of having to careful manoeuvre Mario left and right, the game automatically handles Mario’s running. It’s not a perfect facsimile of traditional Mario, but it’s pretty close. 3. The game is slated to launch some time between April 2018 and March 2019. “Mario Kart Tour” was first revealed during an investor presentation by Nintendo president Tatsumi Kimishima. Not that thrilling, I know. There was an image of a logo included, and that’s it. 4. “Mario Kart” is a marquee franchise for Nintendo, and it’s likely to come at a premium on smartphones. We asked a Nintendo representative a variety of questions regarding “Mario Kart Tour.” What kind of game is it? Who’s making the game? Is it free-to-play, will you pay up front, or some other model? When will we learn more? Unfortunately, we were told that Nintendo doesn’t have anything more to share at the moment beyond what was put on social media. Given Nintendo’s approach thus far to smartphone gaming, it’s just as likely that “Mario Kart Tour” is free (with paid elements) as it is that it costs a lump sum outright. That said, “Super Mario Run” is a good place to start thinking about “Mario Kart Tour” – both are core Nintendo franchises. “Mario Kart 8 Deluxe” is the second-highest selling Switch game to date, behind only “Super Mario Odyssey.” It seems entirely likely that “Mario Kart Tour” offers a few levels for free, then charges a lump sum for access to the full game (like “Super Mario Run” did). 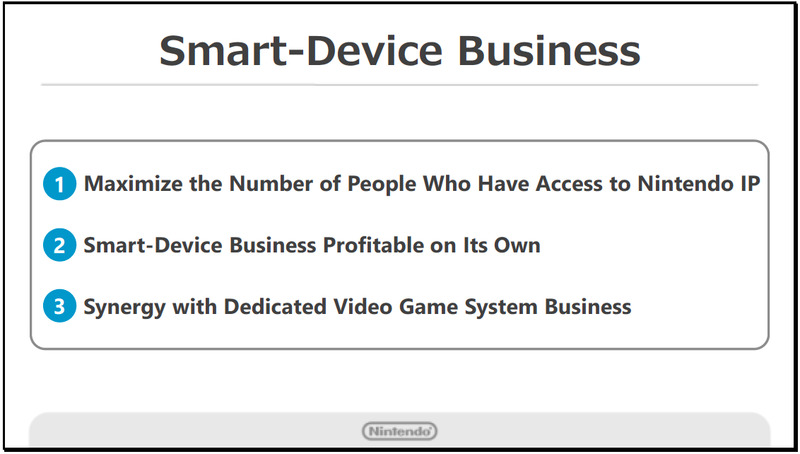 It’s the kind of game Nintendo can demand a premium for, and likely will do so as a result. 5. Nintendo’s goals with its smartphone business are diverse, but “Mario Kart Tour” seems most likely to fit into one category specifically. Will “Mario Kart Tour” be profitable on its own? Who knows! We don’t even know if it’s going to cost anything.